As a prominent cultural center, Alexandria triggered the beginning of the golden age of innovation and progress in the ancient world. The city was envisioned by Ptolemy I who reigned Egypt following the death of Alexander the Great in 323 B.C. By settling Alexandria on the Meditarreanan coast of Egypt, Ptolemy enabled the exchange of knowledge and culture among the ancient Greek and Egyptian societies. Ctesibius, for one, was a Greek inventor and mathematician who worked in Alexandria during the reign of the Ptolemaic dynasty. A notable figure, Ctesibius was probably the first head of the Museum of Alexandria. This was one of the central and most important institutions founded by Ptolemy, or possibly his son, Ptolemy II Philadelphus. 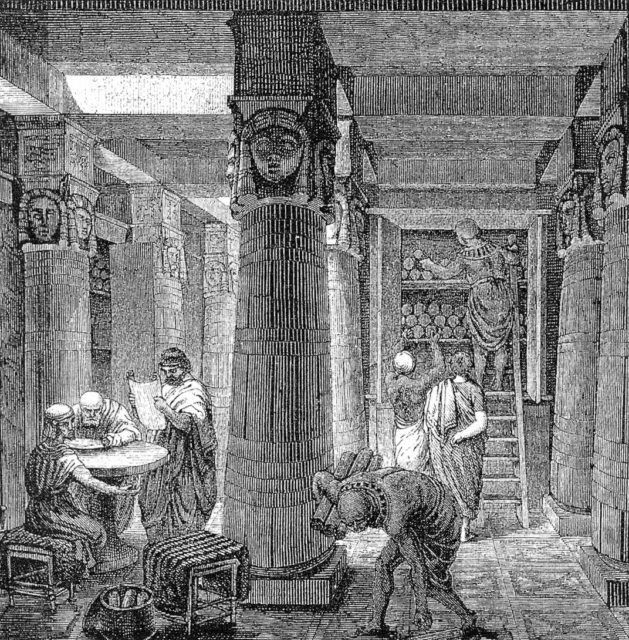 The museum, sometimes called The Institution of the Muses, also included the famous Library of Alexandria. The institution as a whole was a center of music and poetry; it was a philosophical school and research center unlike anything observed in history before. Little is known about Ctesibius’ life. It is said that his first career was as a barber, during which he invented a counterweight-adjustable mirror. However, the ancient inventor is credited with writing the first scientific treatise on compressed air and its uses in pumps, and even cannons. His research on the elasticity of air, entitled “On pneumatics” earned him the title “father of pneumatics,” a branch of engineering that makes use of gas or pressurized air. Unfortunately, none of his written work has survived, including “Memorabilia,” a compilation of his full scope of research which was cited by the prominent Ancient Greek rhetorician and grammarian, Athenaeus. Historians acknowledge him for inventing the “hydraulis” too. 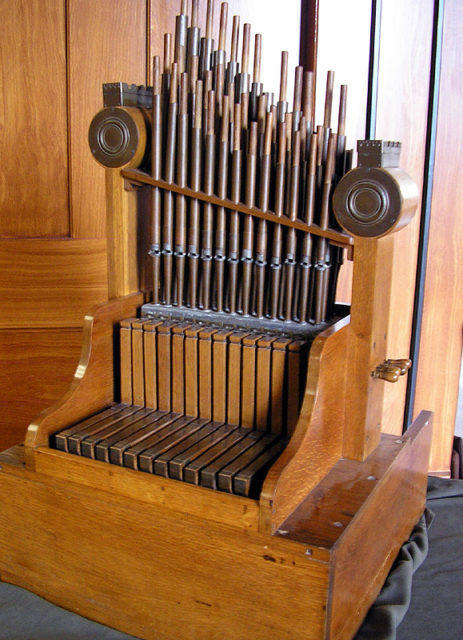 The hydraulis was an ancient water device, a precursor of the modern pipe organ. Surviving accounts indicate that he did not so much intend to invent a new instrument, but that he rather aimed at solving a problem in mechanics and engineering, trying to answer: how can one person play more than one wind instrument at a time? 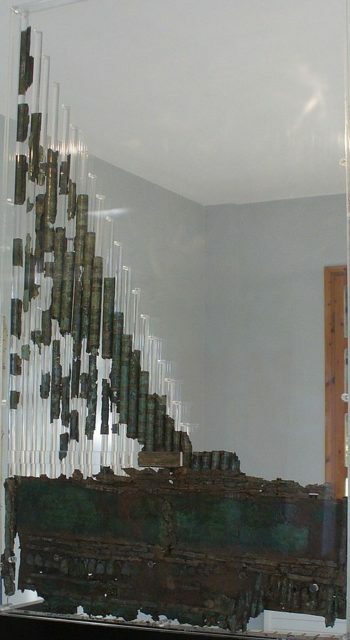 Most certainly, Ctesibius had some models at hand which allowed something similar, such as the syrinx or pan-pipes. Both these instruments were prominent in the ancient Greek and Hebrew cultures. He could have even had some knowledge of the so-called mouth-organ, which according to other accounts is considered as a precursor to the development of the organ. Ctesibius must have wanted to accomplish something more, and supposedly, he did. The “hydraulis” was a type of organ where the air supply was maintained through water pressure. The instrument though did not use any kind of bellows or compressor. 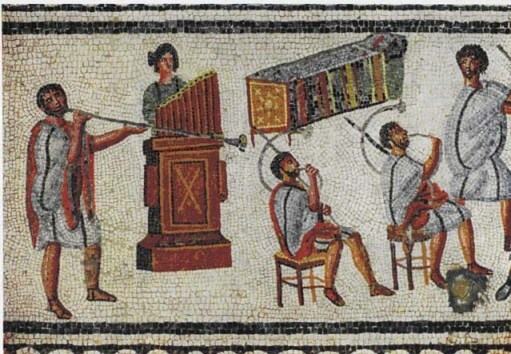 Records show it was played in arenas in the Roman Empire. The pump and water regulators specific to the “hydraulis” are replaced by an inflated leather bag only around the 2nd century AD. Bellows began to appear around the 6th century. 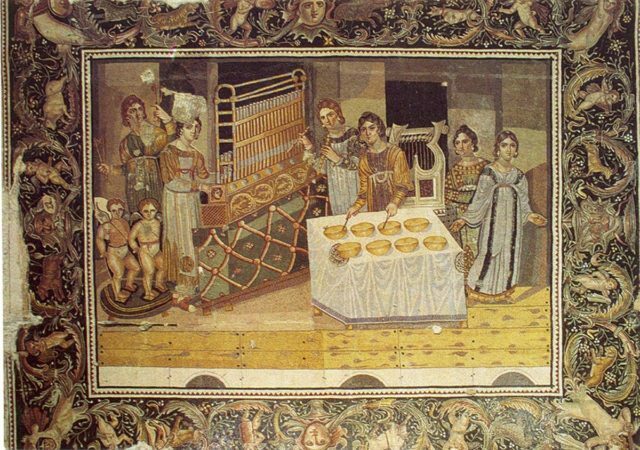 The instrument can be seen on this 4th century AD “Mosaic of the Female Musicians” from a Byzantine villa in Maryamin, Syria. Another brilliant contribution of the ancient inventor was his improvement of the water clock or clepsydra. After the Ctesibius’ intervention on the clepsydra, this time-measuring device is regarded as the most accurate clock in use for the next 1,800 years. It will be down to Dutch physicist Christian Huygens to make the next major invention in time measuring technology around 1656 AD after detailing the use of pendulums to regulate clocks. Ctesibius further provided descriptions on the force pumps for producing jets of water or for lifting water from wells. Evidence has been found at numerous Roman sites. The principle of the siphon, applied to a wide variety of devices that involve the flow of liquids through tubes, is also credited to this ancient inventor. His work is chronicled by Athenaeus, Vitruvius, Pliny the Elder, and Philo of Byzantium, who regularly mention him, commenting that the first mechanicians such as Ctesibius himself were highly praised figures among kings and rulers. Other accounts also suggest that he had also been miserably poor. One thing is certain, Ctesibius was a great thinker the ancient days of humanity.